Honda CBR125. Most popular choice by far. 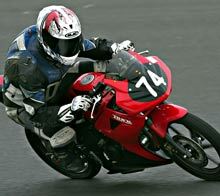 Cheap, fast enough, dead reliable and in large numbers makes them the most successful bike in this booming class. 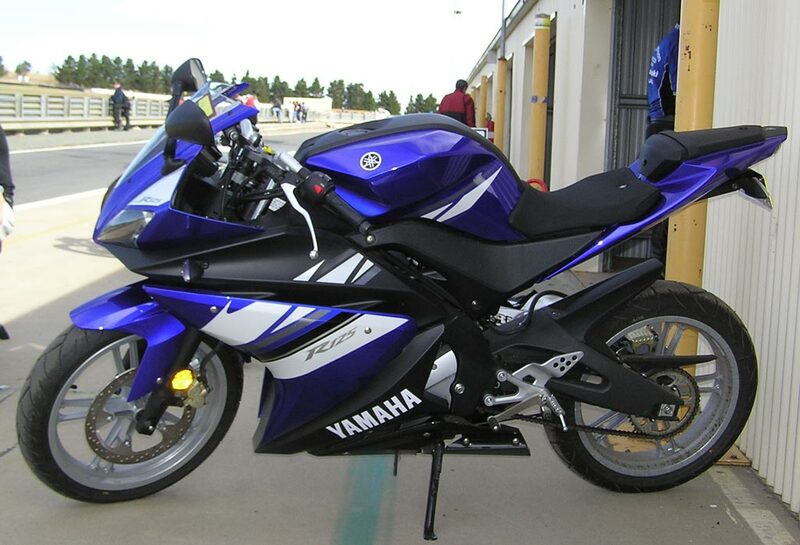 Yamaha YFZR125 At times have been competitive but only one or two running at the most. 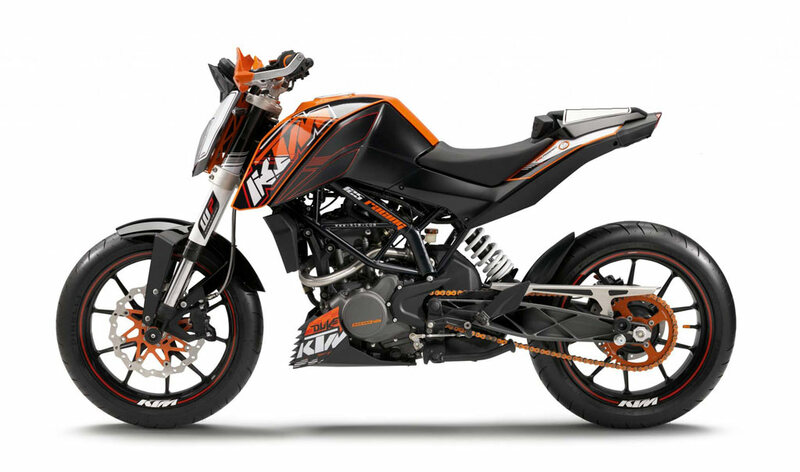 KTM125 Duke. Yet to set the class on fire. 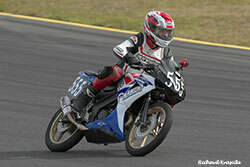 Strong midfield runner, nice to see someone trying something different..
Aprilia 125 RS4. New for 2015, it will be interesting to see if this pretty looking Apriliia will break the Honda CBR125's stranglehold on this class. 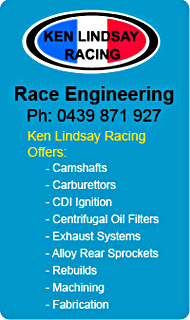 Round Six and Final Championship Round held at Wakefield Park. 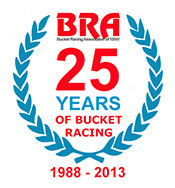 The sixth and final round of the PCRA BRA bucket championship was run at the popular Wakefield Park race track on Saturday the 5th of December on a typical Aussie Summer day, hot and dry. Being the final round of the Championship series the racing was fast and furious. #77 Chris Jones making up for a back row start already through the Commuterlite Pros at turn two. 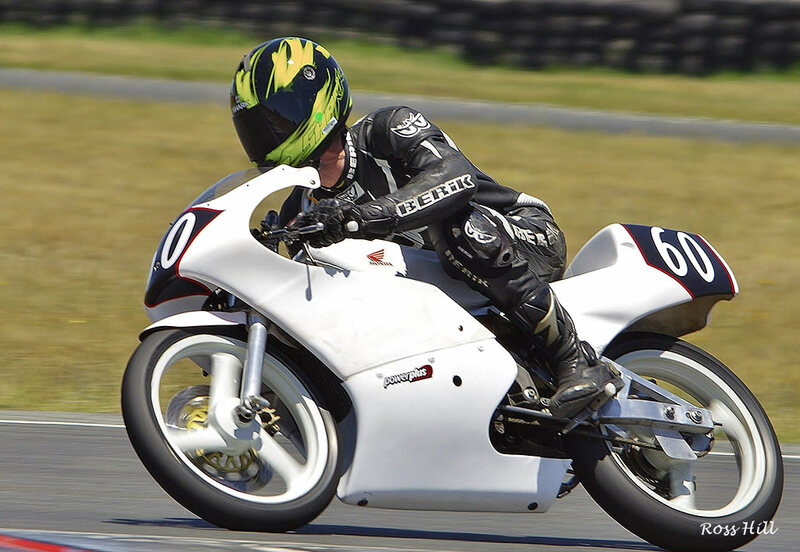 Now sporting the #60 on his bike Jason Dunn (Honda RS85cr) won all three races in the final round clinching the 2015 Motolite championship. The evr competitive #74 Ron Carrick (Yamaha TZ85) made the long journey from Queensland worthwhile to score two seconds and a third finishing second overall on the day. Number 77 Christopher Jones (BBE Honda 150cbr) put in a determined effort to pinch second place in the championship from #63 Matt Burton (BBE Honda 150cbr). In the end two thirds and one second place was not enough for Christopher with Matt hanging on to a well deserved second in the championship, despite a DNF in race one. Matt finished ninth and fourth in races two and three. 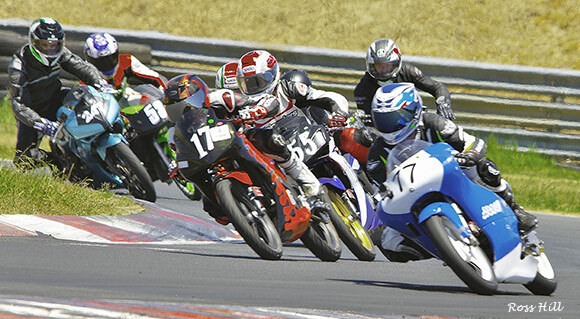 Christopher should be happy with third place in the Motolite championship on his rookie year in what is the premier class in Bucket Racing. Jeff Brown #96 (BBE Yamaha YFZR150) finally got the temperamental Yamaha to show its potential and he put in some stirring rides to net a fine fourth place ahead of the pair of duelling Moriwaki 85s of #94 John Olip and #73 Brodie Thackery. John had the advantage in race one but Brodie turned the tables in races two and three to finish fifth with John sixth overall. 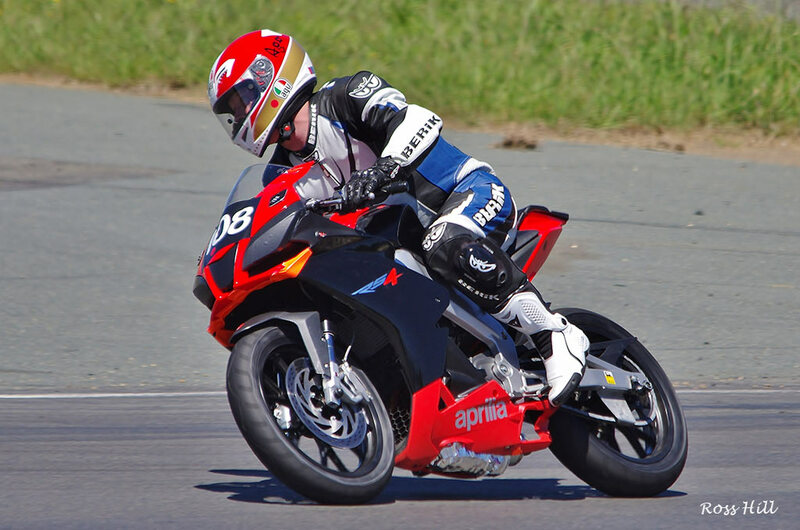 Blair Briggs (#23) was having an outing on the BBE Supermono197 and headed home a trio of these lightweight machines. Overall Blair finished seventh with the evergreen Michael Child eight and #80 Colin Berry ninth. Matt Burton was next, with a DNF in race one and a ninth and fourth in races two and three. He finished tenth overall good enough to finish second in the Motolite championship. 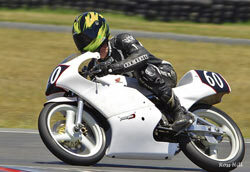 Clark Russell (#63) riding the ex Bob Murphy Honda powered 220cc RGV Suzuki scored two seventh places but a DNF in the final race cost him and he finished eleventh. 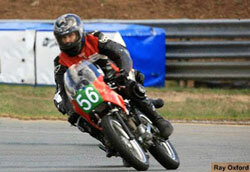 Thomas Young (#53 Honda RS80cr) finished eleventh in race one but crashed out in race two putting him out for the day. And so ended the 2015 Motolite Championship with Jason Dunn winning all the races he entered on the well turned out and quick Honda RS85cr ably tuned by Dad Col. This is Motolite Championship number three for Jason winning it in 2013 and 2011. Ian Gregory (#169 Honda CB150) arrived at the final round with an unbeatable lead in the championship and continued to increase his points lead in the final round. Ian won 2 of the 3 races and after being bridesmaid in the championship for the previous four years he finally has got that well deserved number one spot. Ians closest challenger number eight Kurt Wagus only got two laps of practice in when he was taken down by a wayward Commuterlite, getting a trip to the hospital as a precaution. Thankfully no serious injuries as Kurt returned to the track later in the day but took no further part in the proceedings. Number 38 Junior Murphy (Honda CB150) was up to speed finishing a close second to Ian in races one and three and won the second race. This put him into second in the championship while his Dad Jim (#62 Jianshe 150) finished third pushing the unlucky Kurt Wagus back to fourth in the championship. Tim Smith (#65 Honda CB150) fresh from his win of the Sava Tyres Bucket Nationals had a tough day getting pushed off in race two and had to do some moto crossing to keep the bike upright. Now dead last he fought his way back to fourth missing out on third by half a wheel in races two and three. Tim finished fourth overall on the day. Superlite PRO Round 6 Results. 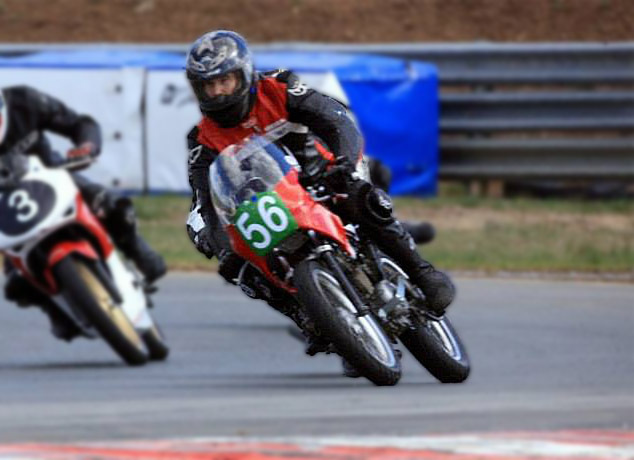 Hermann Wagus (#56 Honda CB150) is the 2015 Superlite AM champion although he was upstaged in the final round by newcomer to Bucket racing Stuart Ellis who was riding Robert Tisdells #81 Suzuki GS150 to great effect. (Robert generously gave his bike to Stuart as Stuarts bike had expired in practice). Stuart won races one and two with Hermann besting him in race three. The fast improving Darrell Francis (#164 Honda CB150) finished third overall. Sadly Duncan Taylor Who finished second in the Championship was killed in a road accident before this event. 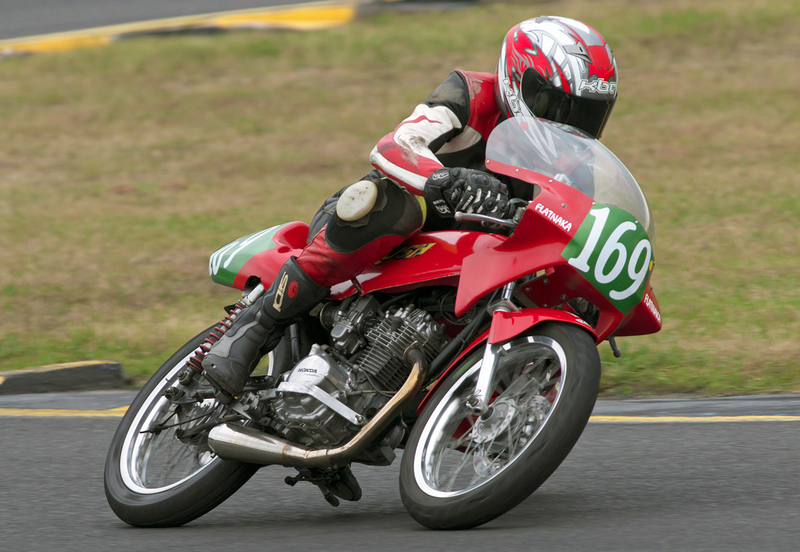 Duncan was a passionate two stroke man and was a great supporter of Historic and bucket racing, he will be sorely missed. Superlite AM Round 6 Results. The Commuterlite PROS once again put on a great show of close and exciting racing. 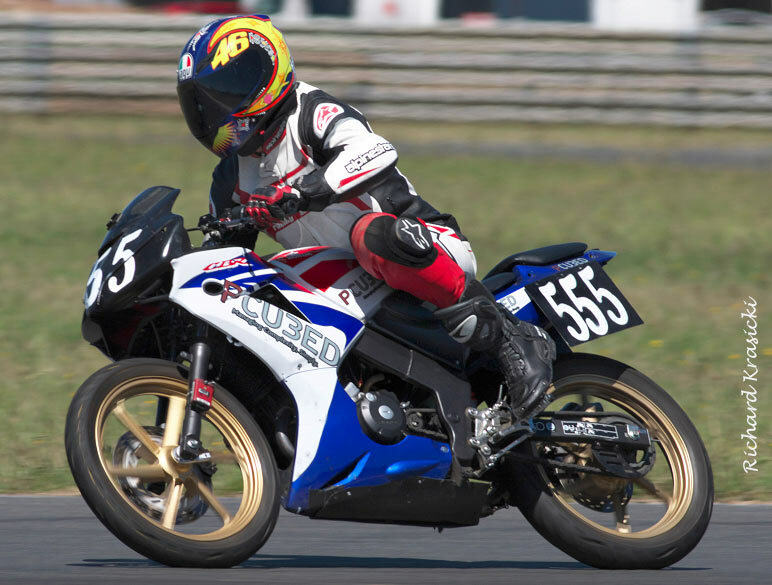 Number 555 Nicholas Miller (Honda CBR125) had led the series from the second round but #75 Corey Smith (Honda CBR125) who missed the first round relentlessly hunted Nicholas down until there was only ten points between them coming into the last round. In race one despite qualifying in fifth Nicholas showed he meant business climbing steadily through the order from 5th. in lap one to a perfectly timed pass on #39 Ken Watson (Honda CBR125) to take the win. Corey Smith finished fifth losing valuable points to Nicholas. In races two and three Nicholas was content to keep Corey in sight and clinched his first Commuterlite PRO championship. Number 39 Ken Watson and #43 Keo Watson father and son duo proved ultra competitive in their first go at Commuterlite racing. 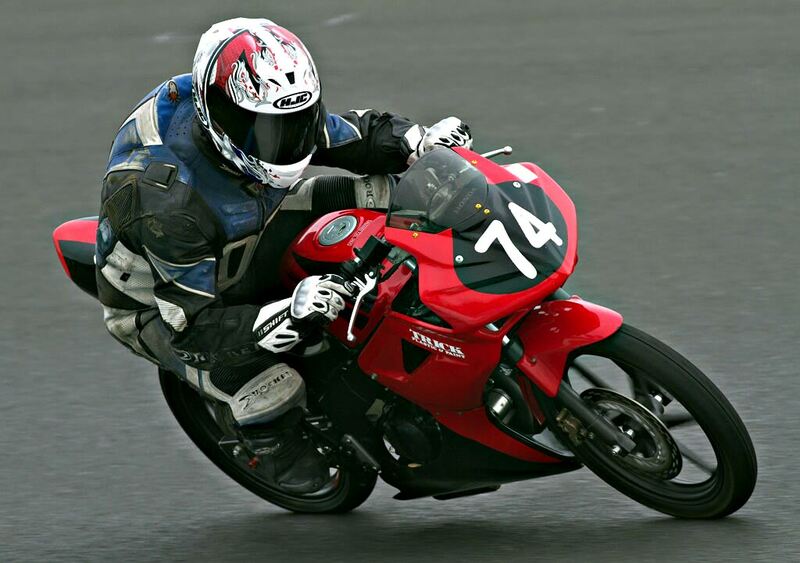 Ken was second in race one and won races two and three to win overall on the day. Nicholas Miller was second overall with #17 Adam Cameron third on the day and third in the championship. An impressive result for Adam the 2014 Commuterlite AM champion, winning three races and netting seven other podium finishes. Number 75 Corey Smith finished fourth overall and second in the championship. Corey just didn't have the pace to win on the day and although he finished ahead of Nicholas in races two and three he needed to win to get that title. Keo Watson #43 showed top running pace in his first go at CommuterLites with two fourths and a third ending up fifth on the day. Andrew Martin #9 was running a Yamaha YFZR125 for the first time and was finding some pace as the day went on. He finished sixth overall. Commuterlite PRO Round 6 Results. As with the Commuterlite PROS the AM riders produced some outstanding racing throughout the Year. 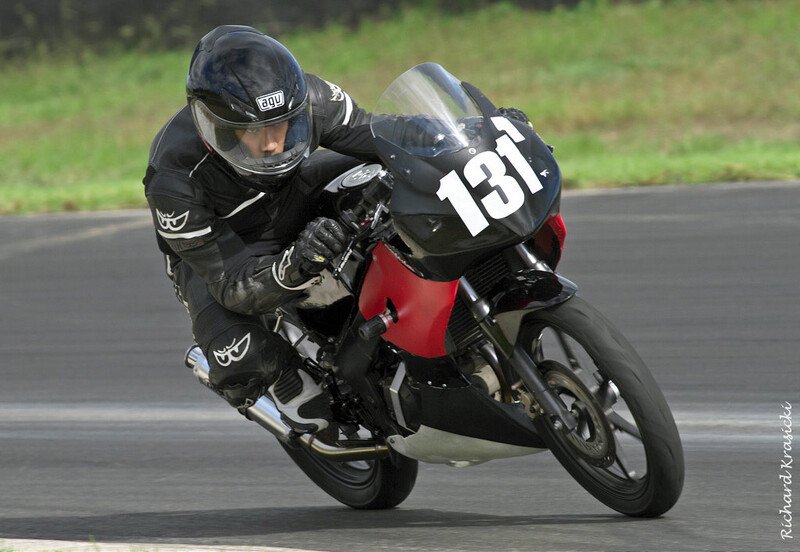 Young Rez Pulido (#131 Honda CBR125) was the star of the Commuterlite AM series winning 6 races and only being off of the podium twice in the year. He finished eight in the 2014 championship but really stepped up to the mark in 2015. Speed and consistency wins the title every time. Peter Lindsay was another big improver from 2014. A strong AM class front runner He was rewarded with a well deserved second place in the championship. Rezs brother Fil also showed great speed and race craft to finish third in the AM championship. Rookie Andrew Smith #247 missed round one but steadily improved his results climbing up the finishing order as the series progressed getting second at round five and winning round six to finish 4th in the championship. Another Rookie Mark O'Toole was really on a roll mid season winning round three on the GP circuit but crashed out in the second race in round four and as a result missed out round five as well. 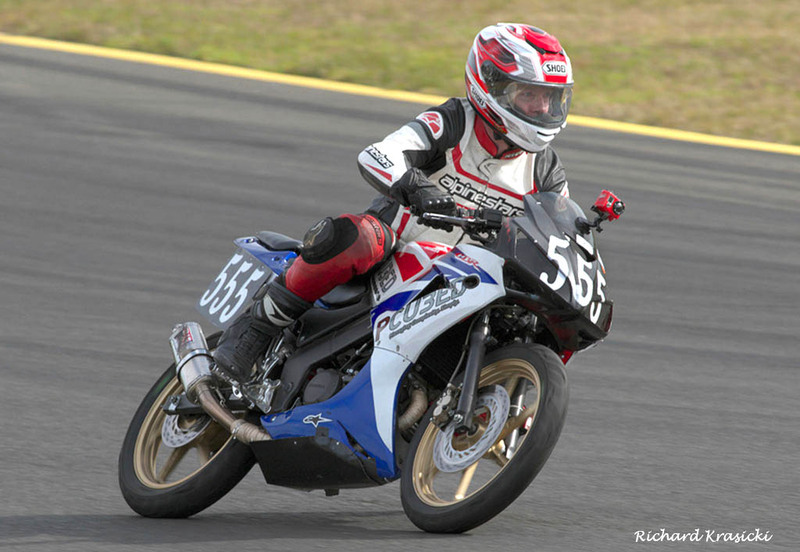 The only lady rider that consistently competes in bucket racing Jessica Dykes came in sixth in the AM championship hustling the Aprilia RS4 125 around to great effect. Commuterlite AM Round 6 Results.